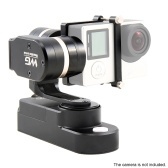 4 different working modes(pan follow/pan& tilt follow/all follow/all lock) to meet various shooting needs. 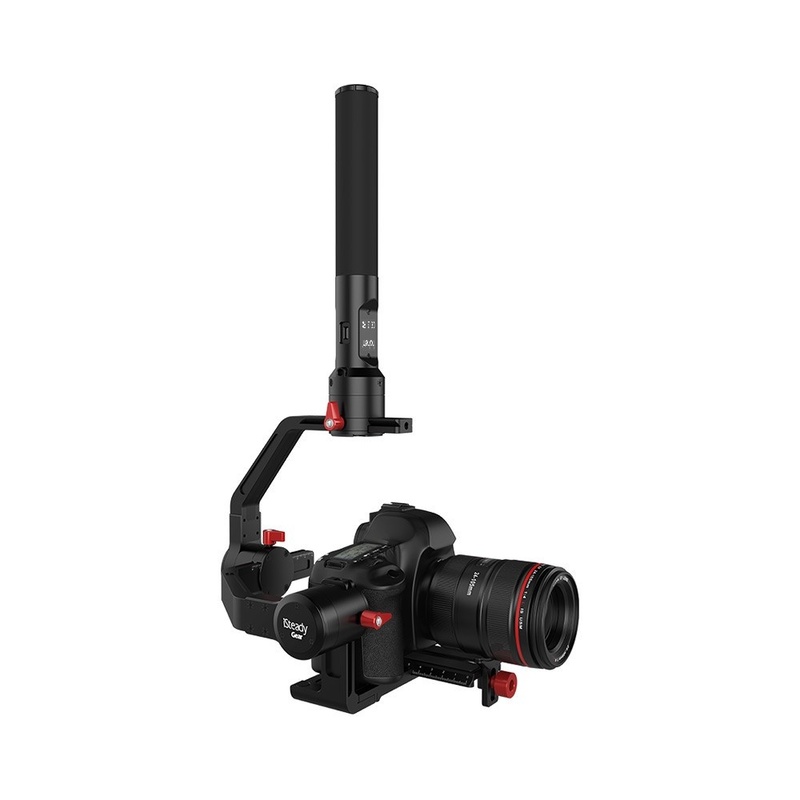 The 4-way joystick and quick switch makes it easy for you to change lens direction and modes. 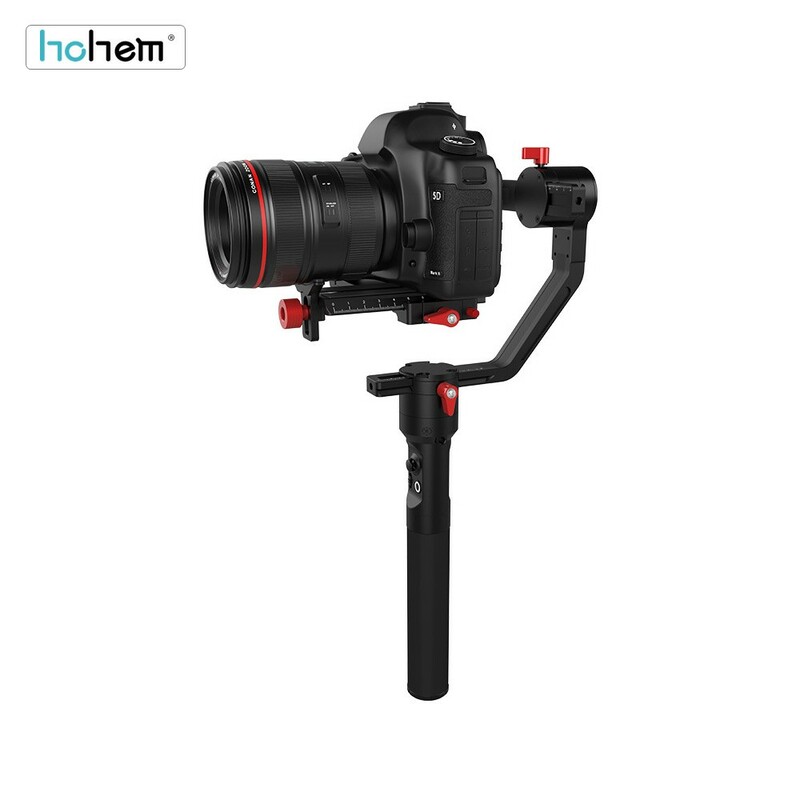 A It is suitable for most professional grade DSLR and mirrorless cameras. 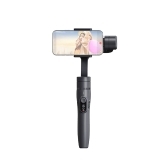 Q Is this compatible with a Nikon P900? 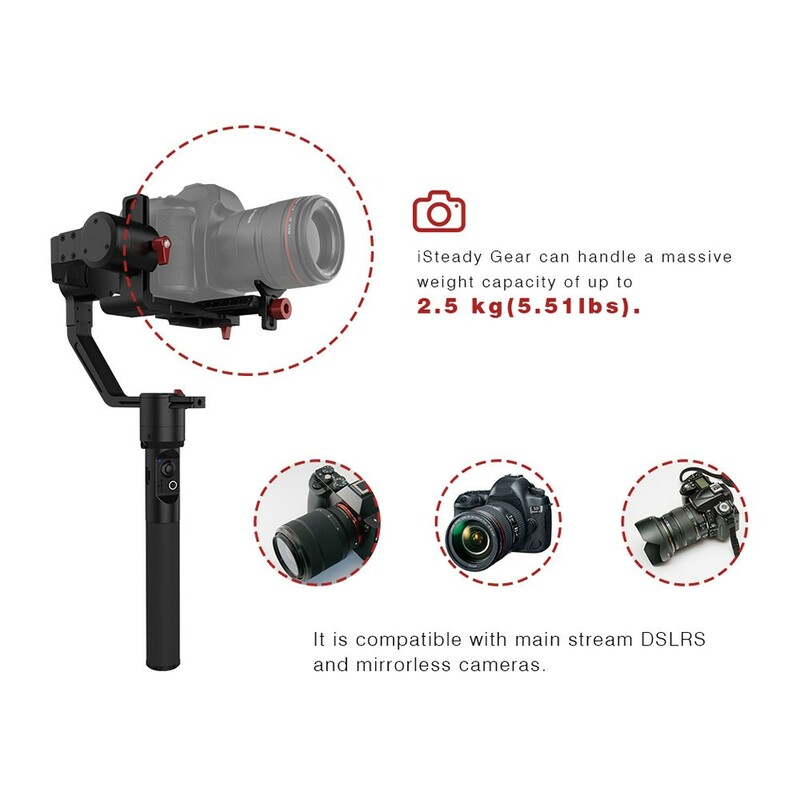 A Strong aluminum alloy body can support up to 2.5kg/5.5Lbs, suitable for most professional grade DSLR and mirrorless cameras. 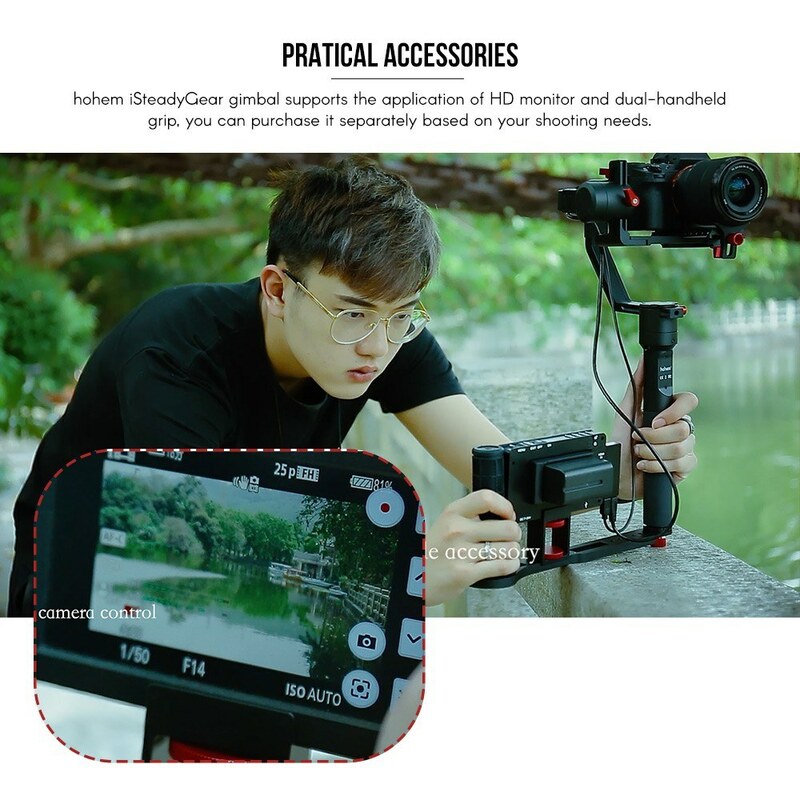 Q Is it suitable for Nikon D7200 ?? A Yes. It fits Nikon D7200. A Yes,it supports Sony RX100 V.
Q Is it suitable for Nikon D7200 ? Is a wireless device included ? 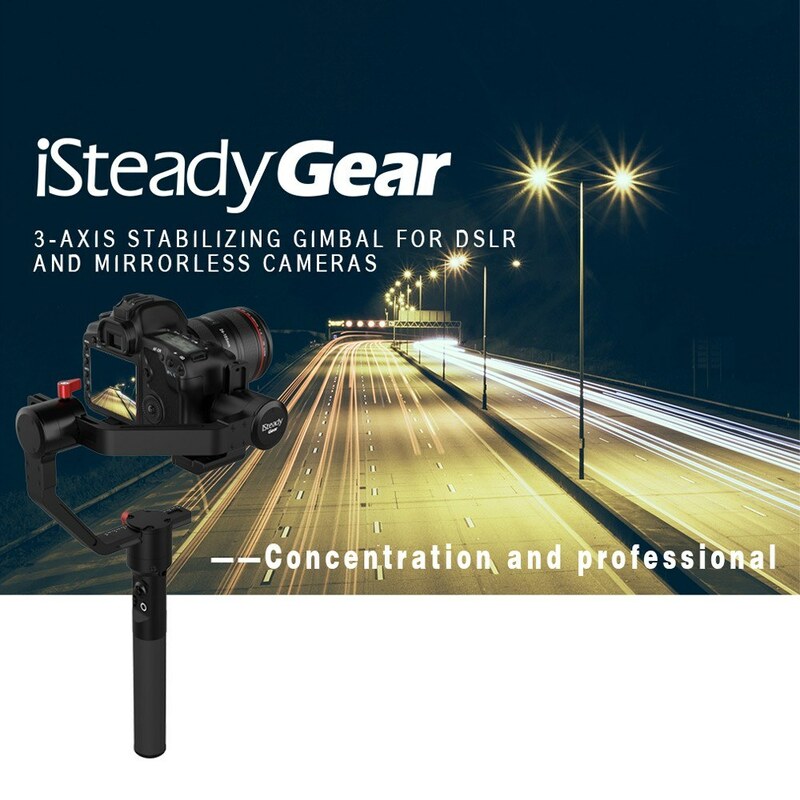 A Hohem iSteadyGear 3-axis gimbal can automatically calibrate shaking caused by dynamic movement/shaking, which contribute greatly to stabler video shooting. A Yes, it supports Nikon coopix b700. Today the first test gimbal Hohem iSteady Gear, 4K video, excellent, I am very satisfied with the product, remote control is super, auto calibration, simple balance, well just great for the price, excellent, THANKS !!!TOMTOP!!! 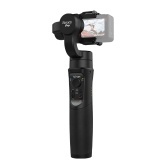 might take a little while to learn how to balance, but once set and turned on, this is a game-changer for video work. used mine for the first job this past weekend. smooth video. 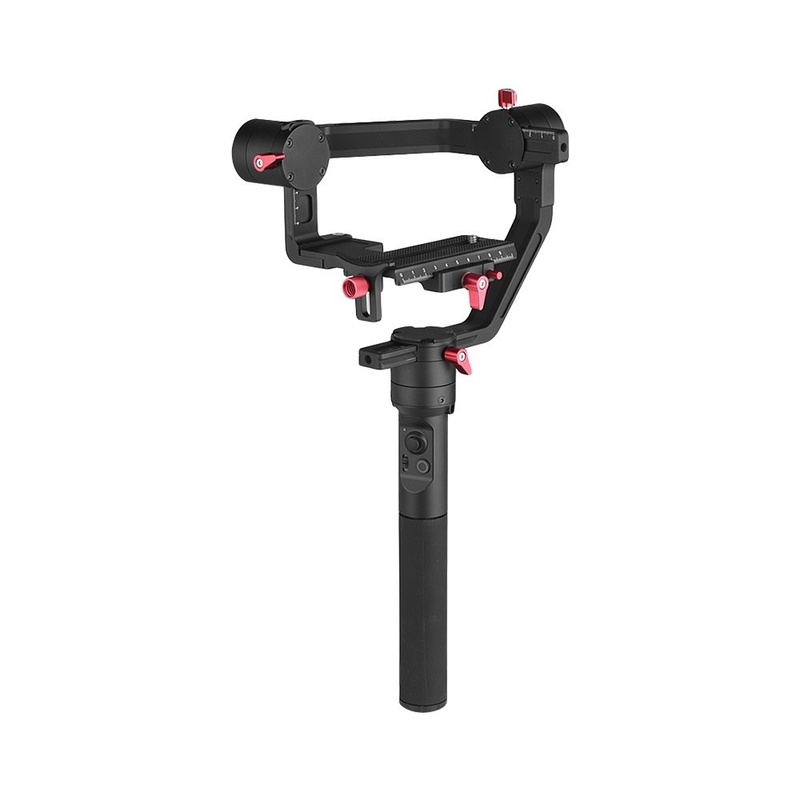 I fell in love with this gimbal. It is extremely user-friendly! I got my footage stabilized within minutes and the battery life is incredible. Best Gymbal for the price! This product is amazing. It really took my video production to the next level. 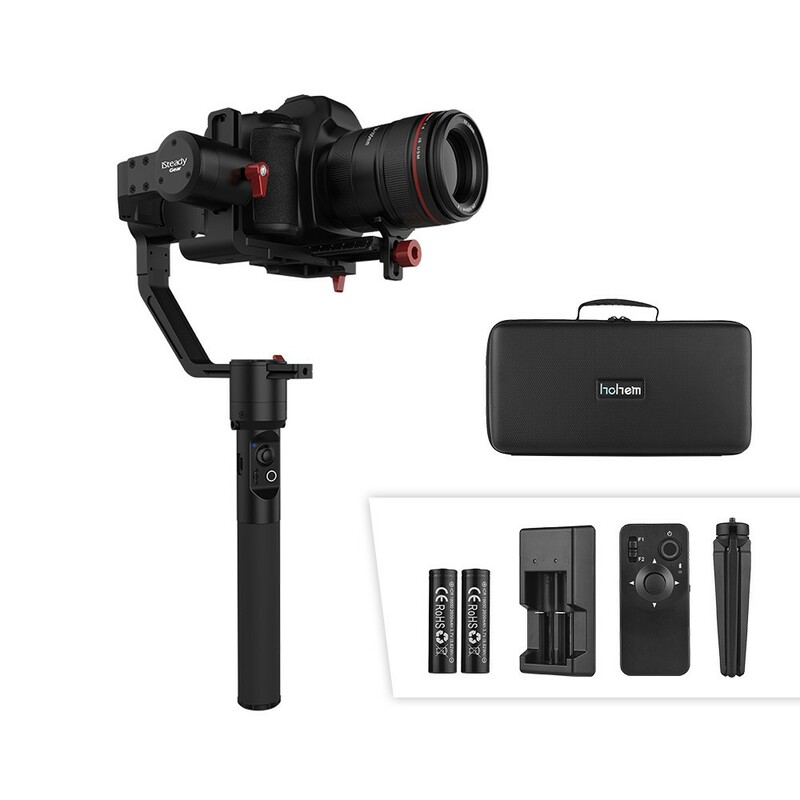 This thing is amazing with my GH4! 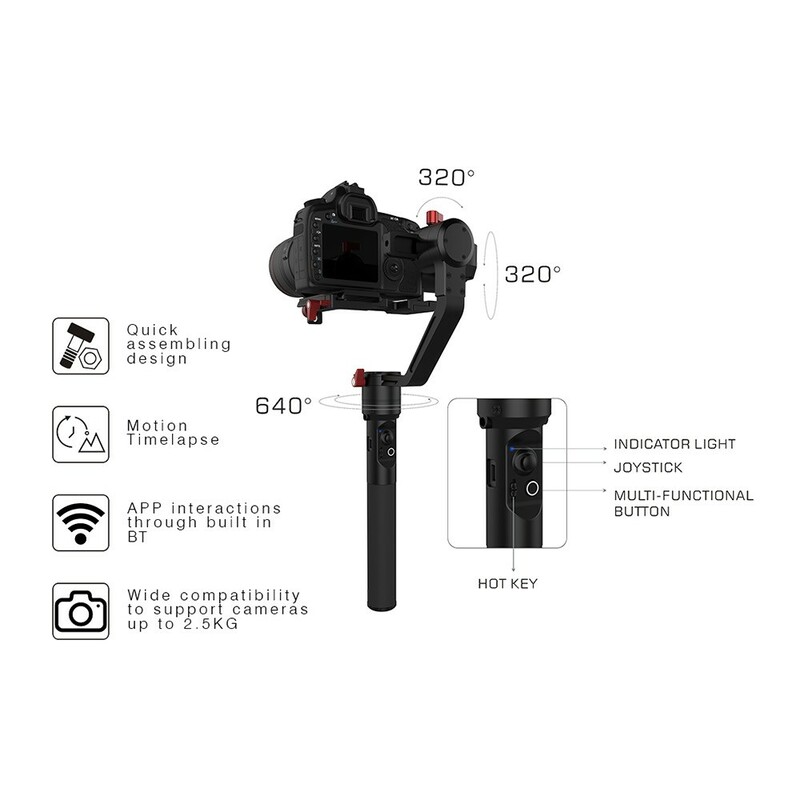 It never had vibration that I experienced with my other 2 gimbals. It came with Pelican-like case which is durable. Highly recommended! 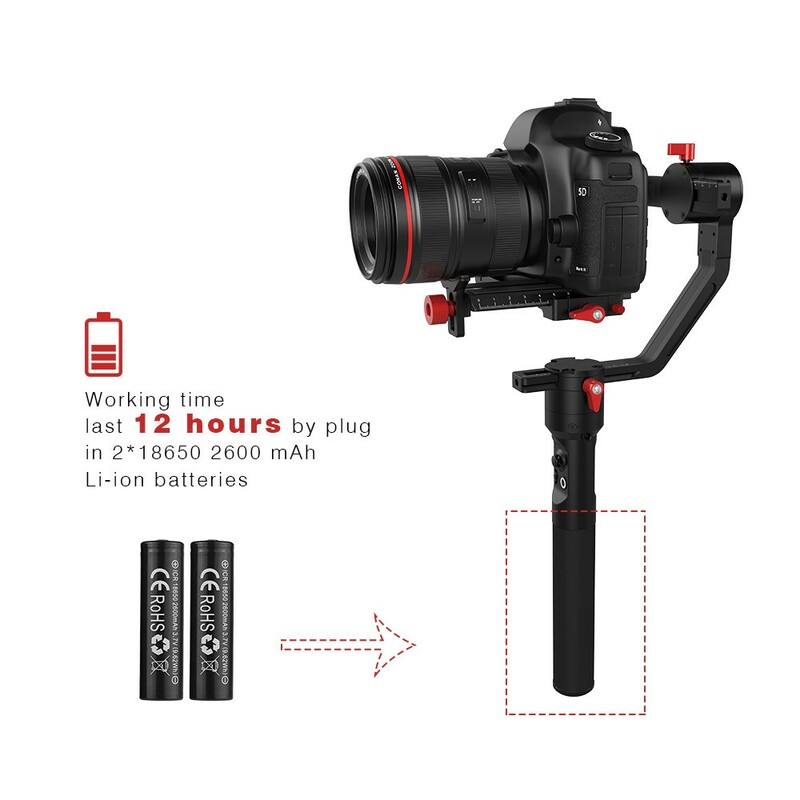 The battery life is great, and my footage are very smooth and cinematic. 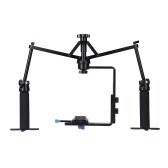 The best part I love about this unit is it can go inverted on the fly!! Best investment I've made for a stabilizer! Battery life is good and I like the multi-function buttons. 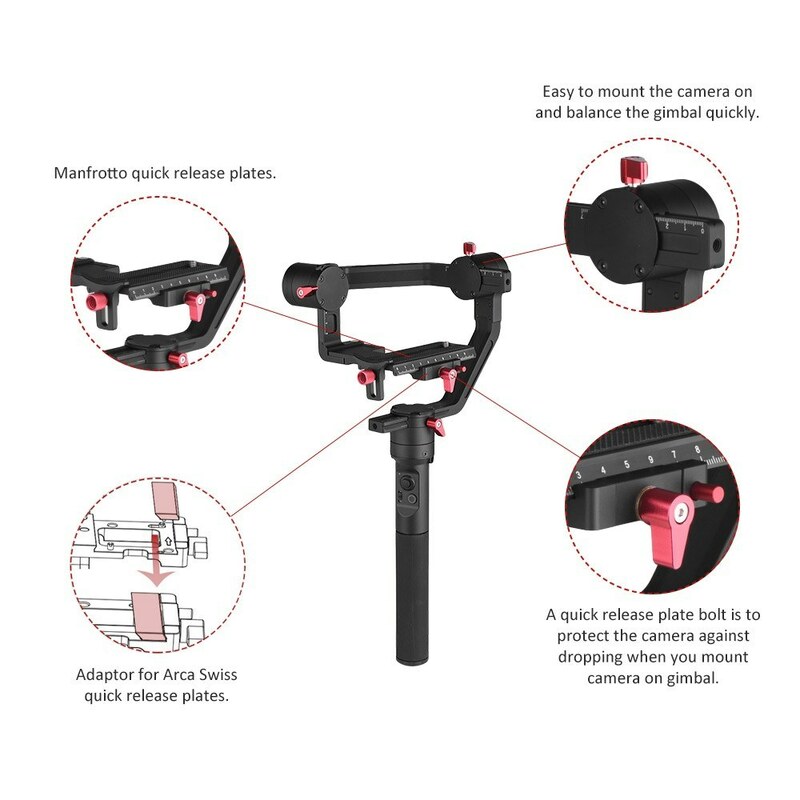 It takes some time to understand how to use a gimbal effectively but you won't be disappointed with the smooth video shots when you pan the scenery. 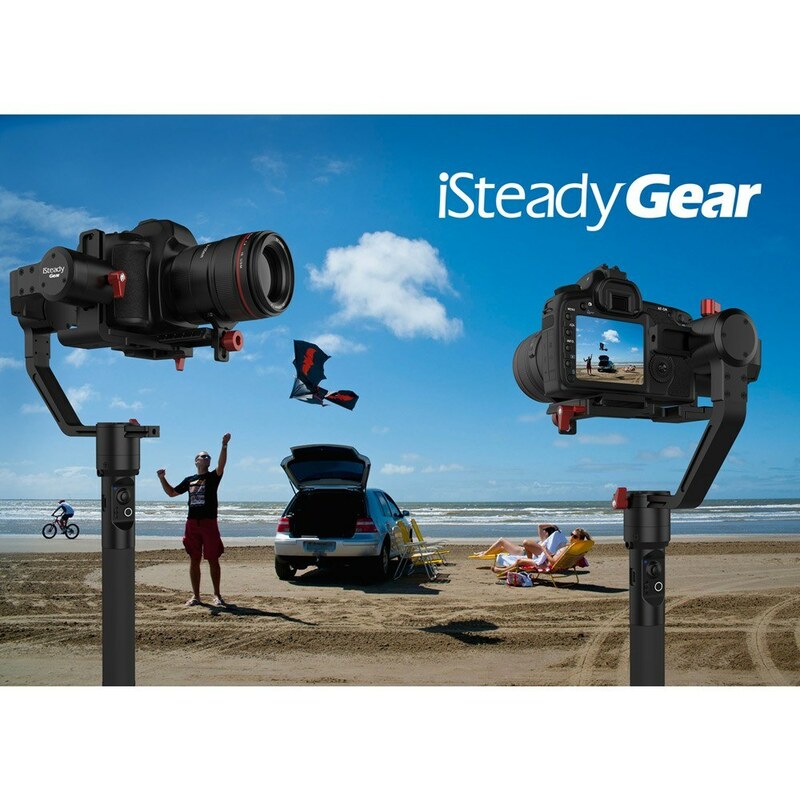 There is no such thing as 100% stabilization at this price point and it works great and gives me a lot of options. 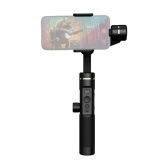 Very easy to assemble and calibrate, it has an app which allows you to access more settings, tested while walking around in a castle in Portugal, the video looks as if taken by a professional crew, no jitter, no shaking, just smooth, it takes a few minutes to get it properly balanced but once you have it the results are astonishing. It is extremely quick to set up, is versatile, and yields great results. Love it. This thing performed better than I imagined it would. Shot a wedding with it and the batteries on full charge lasted the full 12 hours I was there. Silky smooth shots and I even had a zoom lens on it that I would change the zoom level at times and it still balanced (your mileage may vary depending on the different balance levels of different zoom lenses).